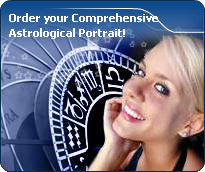 55,648 horoscopes from our astrology database are available, with their interactive chart and planetary dominants. This real-time updated astrological application enables you to find the celebrities horoscopes who have planets in any particular sign or house, or whose houses are in any particular sign. Kindly note that we use the Placidus domification system in these pages. An advanced tool search is also available, with 3 simultaneous criteria in order to search horoscopes by planet, sign, and house.